7 days of delicious meals and snacks starting with the welcome dinner on Saturday, June 22 and ending with celebration performance lunch on Saturday, June 29. The Kimball Union Chef has created a scrumptious menu that will feature multiple options for the discriminating palette including vegetarian, vegan, gluten-free options for your dining pleasure. Interplay has reserved a block of rooms at the Marriott Residence Inn in Lebanon, NH (a 22-minute drive from the camp). The rooms have extra amenities such as a full kitchen and a pull-out couch. The Interplay rate is $169/night. We have 10 rooms reserved. 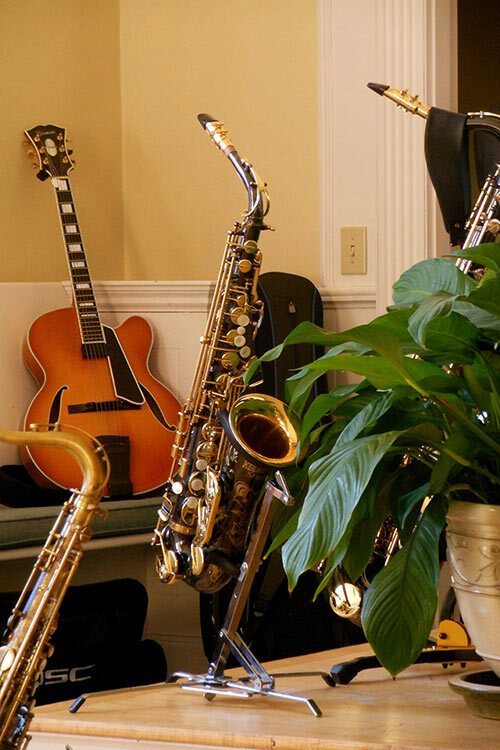 Click Here to Book Your Room Rate for Interplay Jazz to receive this special rate BEFORE May 25. Can't come for the whole week? or have other special circumstances? If not, do you consider yourself a good sight reader?